Price is a huge concern with handicapped equipment and sometimes you have trouble balancing product effectiveness with costs. Luckily there are handicap devices under $10 that meet both of these requirements. I find many individuals will not seek out help for their problems or conditions so you have to proactively provide help. Show them how to use these devices and just leave it in their homes. After a few uses of these equipments, their helpfulness will overcome any initial pride or stubbornness. If you read our buyer’s guide and still need some gift ideas, here is a list of equipment that has been reviewed by many users and met their satisfaction and needs. If you know someone who has a difficult time putting on clothes and other clothing accessories, consider these affordable dressing aids. Wearing Bracelet Helpers – Holds the bracelet steady as you connect the two ends together. Elastic Shoe Laces – Allows for enough stretch when putting on a shoe so there is no need for tying or untying. Lock Laces – Elastic laces with a locking mechanism for a perfect stretch fit. Button Zipper Hook Combination – Use this device to pull a button through a hole or use the hook to zip up and unzip. Dressing Aid Sticks – These sticks are great for putting on socks, putting on pants and underwear, and for picking up objects. Magnetic Clasps For Jewelry – No more fussing and dealing with hooks and clasps. These magnetic jewelry clasps stick together easily and hold tightly together. Great for bracelets and necklaces. Shoe Horns – Helps to insert or eject the foot out of the shoe. Deluxe Sock Aids – Use this aid to help put on socks. Getting cleaned can be a long process for someone with a disability but these hygiene aids make it much easier. Toothpaste Dispensers – Squeezes the toothpaste out by simply winding and turning a handle at the base. These drinking cups are great for someone you know who spills their drinks a lot or has difficult holding a cup. Elderly Drinking Cups – Control the amount of water flow by putting your finger in the cup hole. Spillproof Drinking Cups – Once you screw the top on, you can flip these cups upside down and they will not spill out. Food is a basic necessity but preparing and eating can be quite a chore. Eating aids keep things cleaner and more organized. Plate Guards – Raise the edges of your plates and prevent food from sliding off the plate when you scoop your food. Durable Scoop Plates – These come with a rimmed edge and a skid resistant base bottom. Great for scooping food onto utensil. Rocker Knife – Curved blade allows for a rocking motion that makes it easier to cut and reduces the amount of arm strength needed. Waterproof Mealtime Protectors – Protect your clothes when eating or drinking with these waterproof bibs. There are so many occasions when an object or spot is just out of your reach, whether it is located on a high shelf or on your back. Handicap reachers are very useful and make a great gift. Long Reach Wipers – This extended reach on this devices helps those with have trouble reaching around and wiping their backside after using the toilet. Back Scrubbers – Use this to exfoliate your skin. Simply grab both ends and run it back and forth on your back. Lotion Applicators – Has a long handle to reach those areas that are hard to apply lotion. Reachers With Magnetic Tips – Pick up lightweight metal objects or a single sheet of paper with these 32 inch reachers. Know someone who keeps forgetting to take their pills? Medicine reminders and pill boxes are very important in assisting someone to take their daily medicine. Jumbo Pill Boxes – Long box that holds individually 7 days worth of pills. Pocket Medicine Trays – Seven days worth of pill trays. Pill Splitters – Break and separate your pills in half with ease. Has a self retracting blade guard for extra safety. Make those tense muscles go away with a good massager. After a long exhausting day, your loved ones deserves a good massage. Additionally, be sure to check out our selection of recommended leg massagers as well. 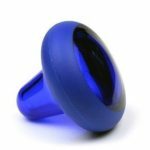 Doorknob Sized Massagers – Use the rounded tip to apply pressure to soft tissue and sore areas. Foot Roller Massagers – Durable and easy to use. Nice massaging feeling as you roll back and forth on this device. If you know someone who always lifts and moves their loved ones from a chair to a bed or into a car, make their lifting and transferring safer and easier with transfer belts. Gait Belts – Sturdy belts that caregivers can grab onto when transferring and moving individuals from one location to the other. There is so many fine details in this world that are hard to see. Low vision aids help with reading menus or small text newspapers. Worried about a loved one who might slip in a bathroom because it gets so wet? Then consider safety treads and other traction devices. Daisy Shaped Decals – For anti-slip protection on your shower or bathtub surface. 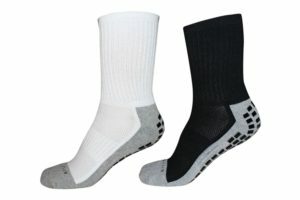 Anti-Slip Gripper Socks – Socks with traction to reduce the chances of falling on slippery tiles or hardwood floors. Safety Shower Treads – Apply these sticky adhesive treads around your bathroom to provide traction for slippery surfaces. Cushions help some to relieve the pressure when you are sitting. There are so many hard surfaces in a house that could use some cushioning. 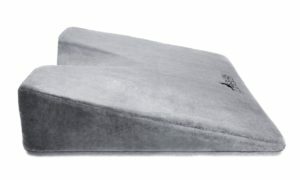 Wedge Cushions – Made of memory foam that after hours of sitting will retain it’s shape. Know someone who struggles when turning a steering wheel or has trouble getting out of a car? Check out some of these handicap equipment for cars. Spinner Knobs – Attach these to your steering wheel for easier maneuvering. Car Caddies – Trapeze bar that hooks onto your car door and acts as support for exiting or entering your car. Round Shower Mats – Add some extra traction in your shower. Has a hole in the center for shower water drainage. May be currently unavailable. Be sure to check out the extra large shower mats if you have a big bathtub or shower. No Rinse Shampoos – Wash your hair without the use of water. No Rinse Bathing Wipes – Clean yourself without water. Shower Arm Assistance For Lower Shower Heads – Put your shower heads lower so you can reach them without straining. Check out more of the handicap walking equipment and the alternatives to standard canes such as the forearm canes. Foot Rockers – Put this half circle device on your feet and rock back and forth to stretch your leg muscles. These are only a few writing help aids under ten dollars. There is more writing and typing equipment selections if you need more handicap gift ideas. Ring Pen Writing Instruments – Slip this pen into your finger like a ring to reduce stress on your wrist and fingers. Great for those with arthritis, carpal tunnel or suffering from writer’s cramp. Ergonomic Pens – Reduces the amount of grip needed to use a pen. Prices and availability may change with the seasons but for the most part, these items fall around or below the $10 threshold.